Provide comfort for the family of Joey Denney with a meaningful gesture of sympathy. 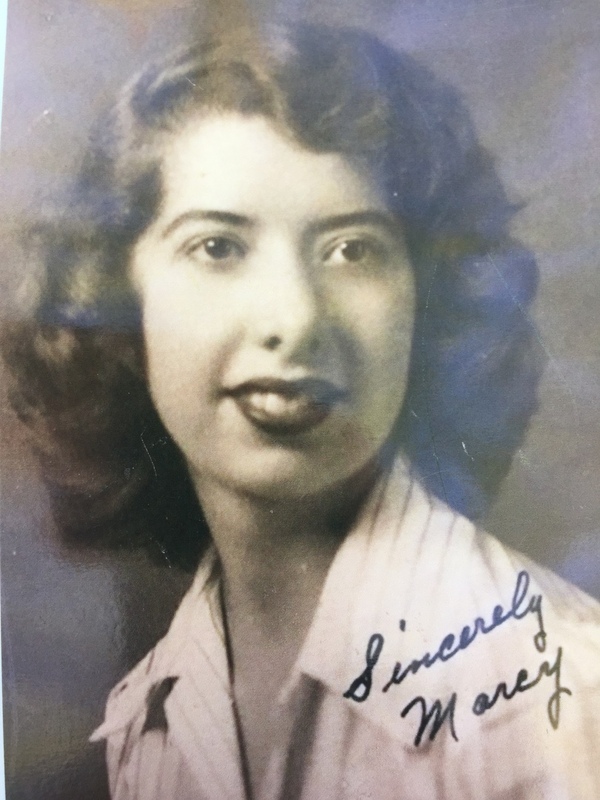 Joey Marcelene "Marcy" Denney 93, Springfield, Mo. passed away Friday, April 12, 2019, after a long illness. She was born on January 16, 1926, in St. Louis, Mo. to Marshall Wayne and Nellie Opal (Wisecup) Long. She was a homemaker and a member of Noble Hill Baptist Church. Marcy was preceded in death by her parents, her husband, Lester Dale Denney, a son: Alan Buelter, one sister and one brother. She is survived by three daughters: Donna Morris and her husband David, Linda Taylor, and Joy LeMay, three sons: Dan Buelter and his wife Rosanna, Ben Buelter, and Don Denney and his wife Angel, nine grandchildren and eleven great-grandchildren. Funeral Services will be at 10:00 a.m. Tuesday, April 16, 2019, at Greenlawn Funeral Home North, with burial to follow, in Robberson Prairie Cemetery. Visitation will be from 9:00 a.m. to 10:00 a.m. before services. To plant a memorial tree in honor of Joey Marcelene "Marcy" Denney, please visit our Heartfelt Sympathies Store. Hwy 13, north, past WW, turn left at 1st crossover, go across Hwy 13, turn right on outer road, follow this road 1 to 1 1/2 miles to church and cemetery. We encourage you to share any memorable photos or stories about Joey. All tributes placed on and purchased through this memorial website will remain on in perpetuity for generations. Honor the life of Joey Marcelene "Marcy" Denney by planting a memorial tree. We encourage you to share your most beloved memories of Joey here, so that the family and other loved ones can always see it. You can upload cherished photographs, or share your favorite stories, and can even comment on those shared by others.